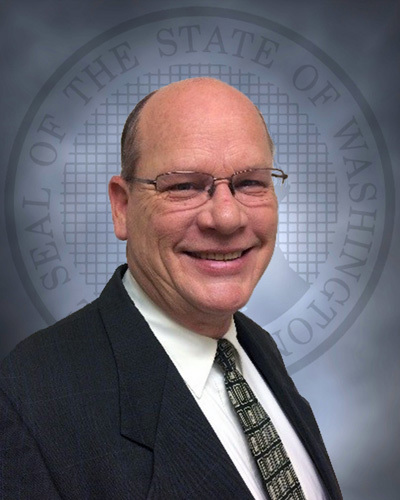 TUMWATER – Assistant Secretary Mac Pevey has named David Ganas as the Section 1 Field Administrator in the community corrections division within the Washington State Department of Corrections, effective November 16, 2017. Section 1 covers the easternmost part of the state, including the counties of Spokane, Asotin, Ferry, Garfield, Lincoln, Okanogan, Pend Oreille, Stevens, and Whitman. Ganas currently serves as the community supervisor in the Wenatchee Field Office, where he was promoted in 2015. David Ganas began his state service with the Washington State Department of Social and Health Services (DSHS) in 1991. In 1994, Ganas began his career with the Department of Corrections as a correctional officer at Airway Heights Corrections Center, and a year later transferred to the Pine Lodge Pre-Release Center. He pursued and achieved a community corrections officer position in the Spokane area. He also served as the northeast region performance consultant working with stakeholders around the state to implement the correctional worker core program and adult service academy. In 2006, Ganas worked left the department to pursue other interests. In 2008, he returned to state service at DSHS. Upon returning to the community corrections division in 2014, Ganas became a member of the impacting behavior change training team and learned the risk-needs-responsivity principles. Ganas earned his Bachelor of Arts in Applied Psychology from Eastern Washington University. Additionally, he is a veteran of the United States Navy. Ganas takes over from Debra Connor, who accepted a management position within the health services division at Airway Heights Corrections Center on October 16, 2017.